CATS the Board Game (DPHCATS) at Pure Design / Accessories / Home Entertainment ::: Furniture for the Home, Office, Home Office, and More at Pure Design Online! 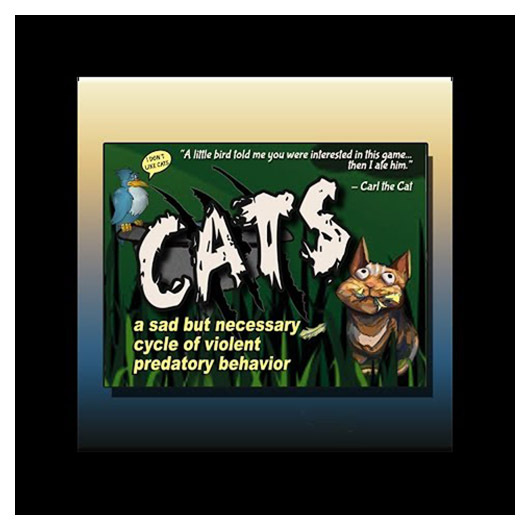 CATS is a secret selection, simultaneous reveal card game where you play cats in the back yard attempting to catch, steal and eat birds. As the end of the game approaches the paranoia increases. You will laugh, plot and scratch your brain! 20 minute playing time. 3 to 5 players. Ages 8 and up.